Tea sandwiches are so named because they are a traditional first course in a formal British three-course full afternoon tea service. 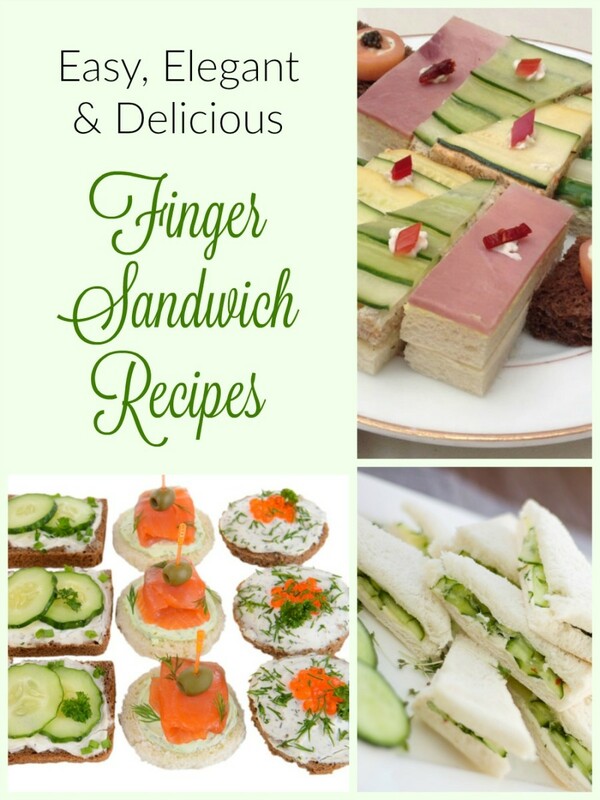 Also called finger sandwiches, they are also popular menu items for formal luncheons for bridal or baby showers, wedding receptions and other special events. I've put together some perfect pairings of breads, spreads, fillings and garnishes for these dainty sandwiches that will help make your tea or formal lunch menu memorable for your guests. 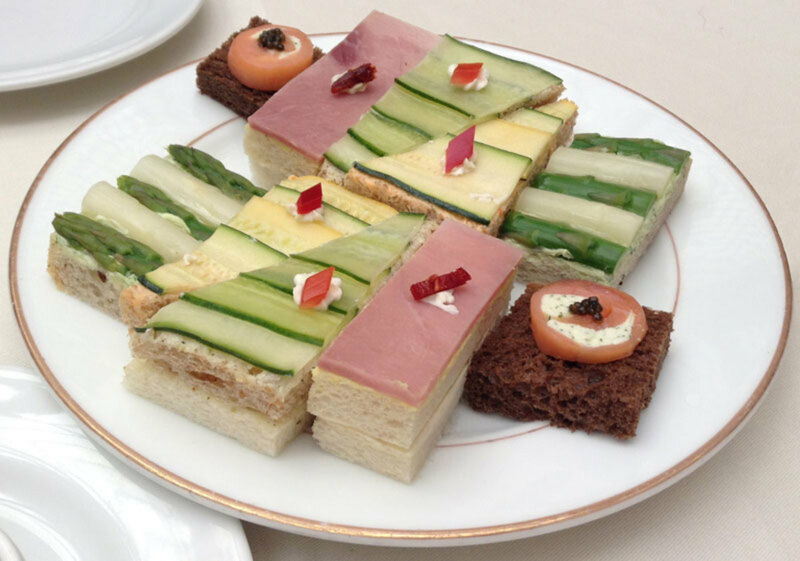 Traditional tea sandwiches are open-face and decorative. 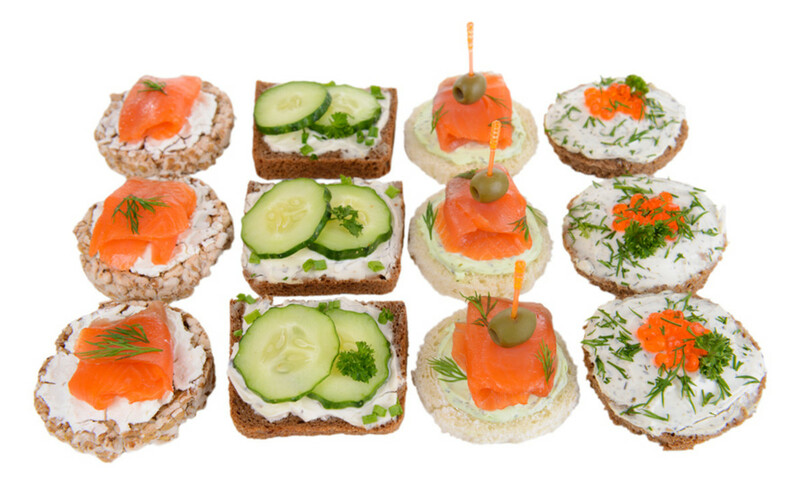 They are made with thin slices of good-quality, firm white sandwich bread sliced thinly, buttered very thinly, filled with paper-thin slices of cucumber (peeled or with the peel scored) or radish or with watercress sprigs, smoked salmon slices or egg salad and topped with tasty and attractive garnishes. 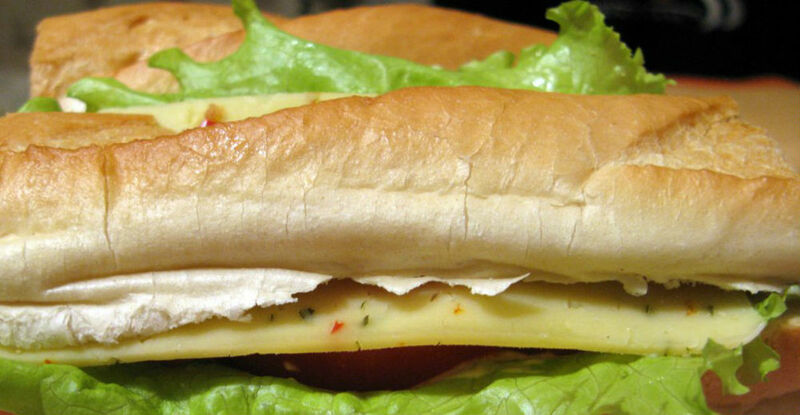 Then the sandwiches are trimmed of their crusts and cut into small fingers, triangles, or other shapes. These days, however, nearly anything goes, as long as all the layers are thin and the fillings are light. When preparing your tea sandwiches, remember that small, thin and dainty are the operative words. Choose a light but firm bread with a dense crumb and slice it very thin so that it doesn't overpower the thin filling layer. Pepperidge Farm Very Thin Sliced Bread in white or whole wheat is a good choice and comes pre-sliced to the correct thickness. Scrape a very thin, even layer of soft butter, mayonnaise or another spread from crust to crust. Optional garnishes also should be dainty (paper-thin slices, small dollops, herb sprigs, etc.). After spreading the bread thinly with the desired spread and topping with the filling and garnish, use a long, finely serrated knife to trim off the crusts to create neat squares. Then either slice each sandwich into 1"-wide strips (no longer than 3", so they are easy to handle), cut it diagonally into fourths to make triangles, or cut it into shapes with small cookie cutters or petit four cutters. I like and use the Ateco Petit Four Cutters, which come in a wide variety of individual cutter shapes as well as sets. Their sharp edges cut very cleanly through the bread, and because they are only approximately 1.5" in diameter (depending on the shape), the sandwiches are canape-sized and guests can sample several varieties. They are also perfect for cutting out small, dainty, roll-and-cut cookies that make a lovely addition to an afternoon tea or luncheon menu. And, because they are 2" tall, they can easily cut through several thin layers of cake to make petit fours, if those are also on the menu. 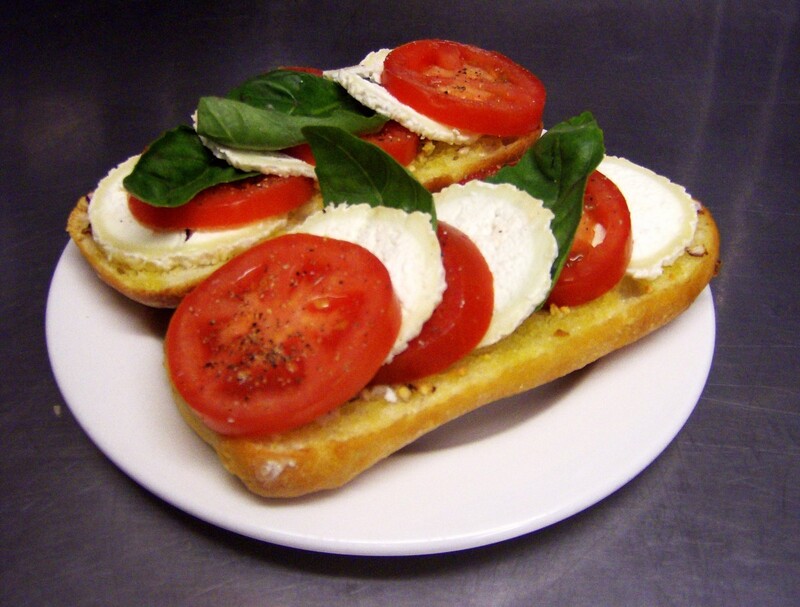 Canape-style open-face sandwiches built on thin slices (untrimmed) of baguette are a contemporary twist on tea sandwiches. Choose a slender, freshly baked baguette from a good local bakery and buy it the day of, or the day before, your tea or luncheon. 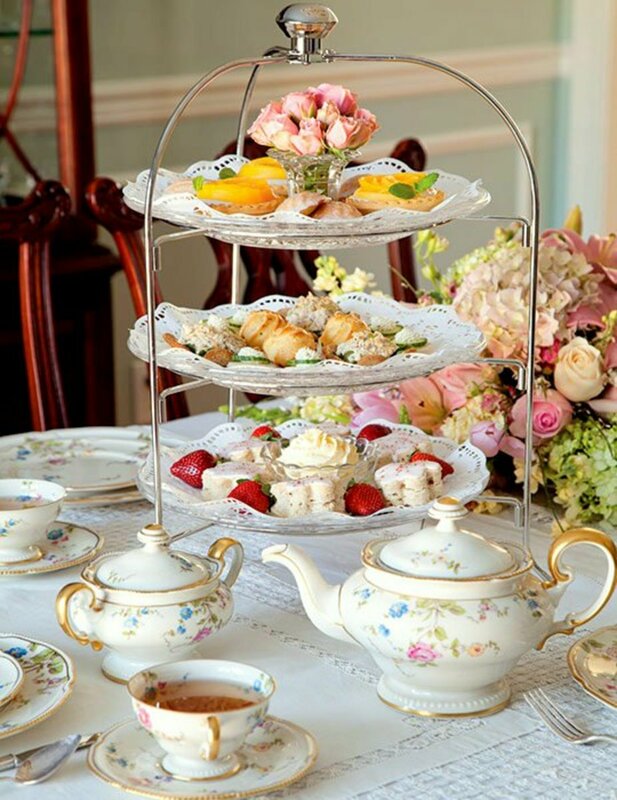 Serve at least two or three small sandwiches (fingers, triangles or other shapes) per person, or the equivalent quantity if you are using tiered serving plates for the different courses of a full afternoon tea. A tasty and attractive touch is to coat the cut edges of the trimmed bread with a thin layer of soft butter or mayonnaise and dip them in finely chopped fresh herbs that will complement the flavor of the filling, if you wish. 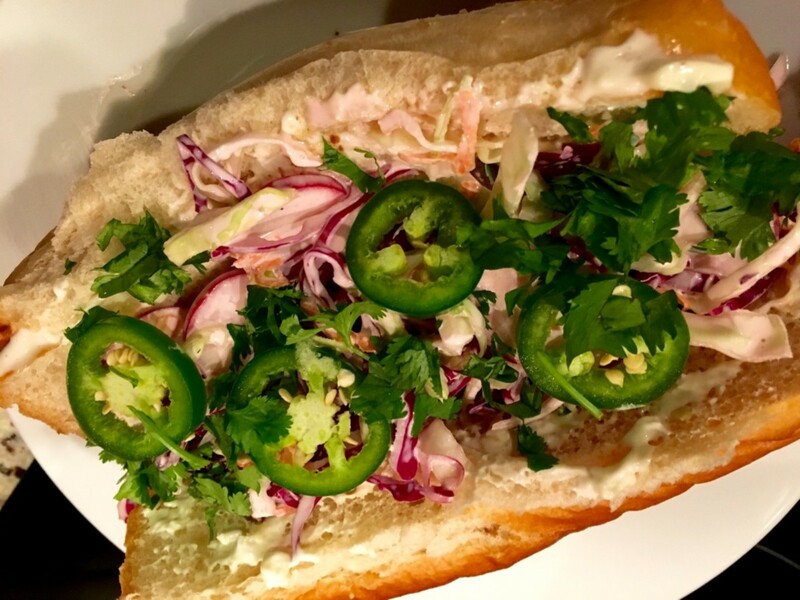 Alternatively, if you are making closed sandwiches (with two slices of bread) and filling them with a mayonnaise-based salad, such as chicken, egg or lobster, you can also dip the sides of the trimmed, cut sandwiches into fresh herbs, which will stick to the edges of the filling. 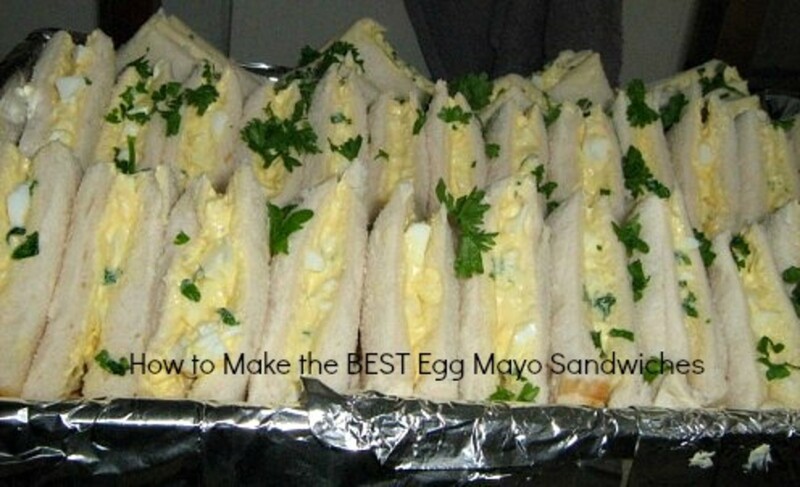 I recommend edging one or two types of sandwiches with fresh herbs and leaving the others with plain edges for the most attractive presentation. Resist the urge to over-embellish! What Do You Think of These Flavor Combinations? 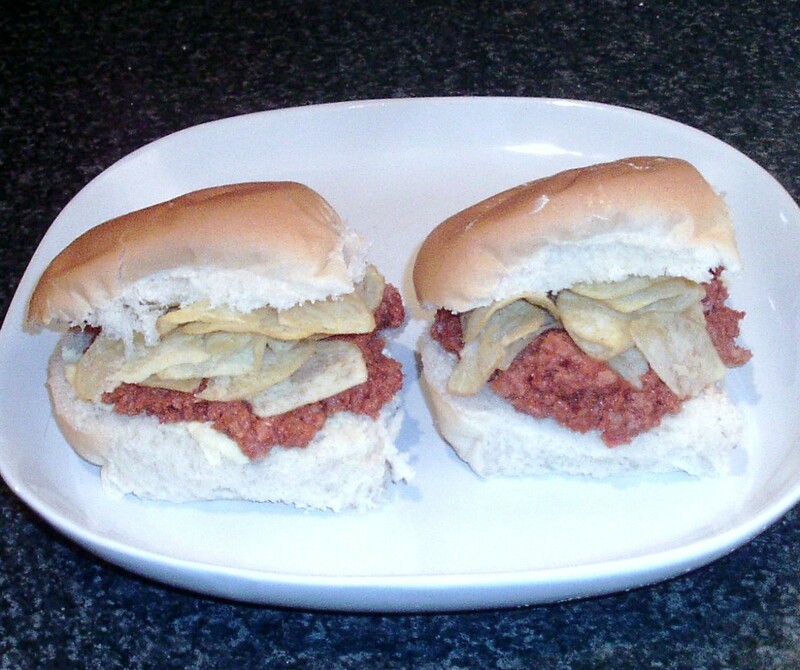 What bread, spread, filling and garnish combination would you choose for your own creation? Look so good. I appreciated the chart you designed to make suggestions on how to put these together - that speaks to me :) - A handy page indeed. I like paper thin slices on sandwiches. These ones you have looked really tasty and elegant. They are all yummy! Mouth watering and I am getting hungry reading this hub. Thanks for sharing and I hope you enjoyed your Easter.